Dr. David Lin is a senior consultant at Biologics Consulting Group Inc. and has over 21 years of pharmaceutical regulatory experience in the technical, quality and regulatory requirements for chemical (small molecule synthetics), botanical and biopharmaceutical (biotechnological and biological) product development. He currently provides regulatory and technical assistance to biotech and pharmaceutical companies that is planning to conduct clinical studies and to obtain approval for the marketing of prescription products (drugs and biologics) in the United States. He received his Ph.D. in organic chemistry in the area of protein chemistry in 1989 and a M.B.A. in 2002. 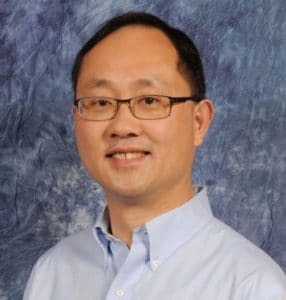 Dr. Lin’s regulatory product development expertise was developed at FDA while working as a CMC reviewer, CMC Team Leader, acting Deputy Division Director, and acting Division Director in the Office of New Drug Chemistry in the Center for Drug Evaluation and Research (CDER). He has review experience in numerous therapeutic areas. In addition to his review and management duties, Dr. Lin was involved in the development of FDA guidances and good review practices. He is a member of numerous professional organizations including AAPS, DIA and RAPS.